The Omnitrans Special Transportation Services team recently had the pleasure of working with Robert through its Travel Training program. Robert, a new resident of Colton, was interested in visiting the 5th Street Senior Center in San Bernardino for the various social and recreational activities they offer. Initially, Robert had a friend who was able to drive him to the senior center, but he eventually realized that he needed to find an alternate mode of transportation. Robert reached out to Omnitrans and learned about its services, including the Travel Training program. Through his time in the program, Robert has learned about our bus system and the various connections he can make at the San Bernardino Transit Center. Such connections provide him access to other cities throughout the region. While training, he learned about proper passenger etiquette on the bus, crossing streets safely, and the importance of asking for help from our friendly drivers. Robert also learned how to use the official Omnitrans app on his smartphone, which allows him to get real-time arrival information and trip planning assistance when riding Omnitrans. Having successfully completed the Travel Training program, Robert has reliable transportation that he can use for all his needs, including going to the senior center and taking care of other personal errands. With his newfound knowledge and confidence, Robert is enjoying the freedom to travel independently throughout our community. 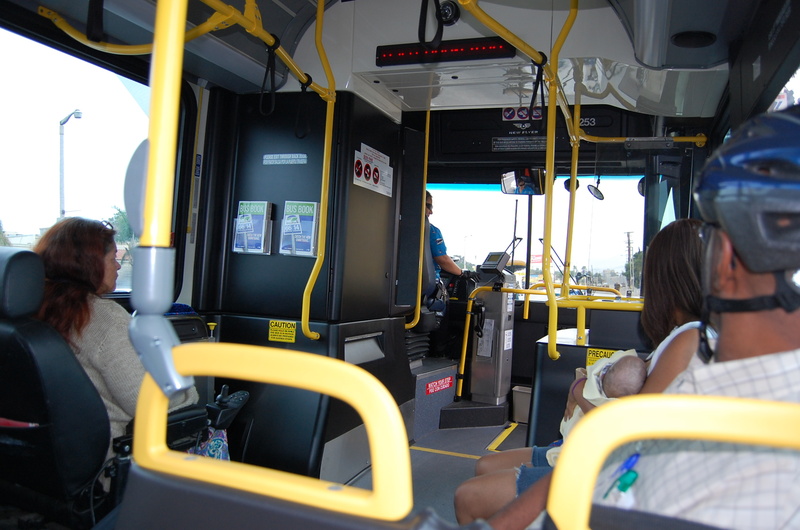 The Travel Training program is available to seniors and individuals with disabilities who would like to learn how to ride the Omnitrans bus system for the first time. For more information about the program, contact the Special Transportation Services department at (909) 379-7341 or visit Omnitrans.org. Why do you ride Rt. 290 Freeway Express? Are you a Route 290 Freeway Express rider? We’d love to talk to you about your commuting experience! One of our Omnitrans team members will be doing a ride-along Thursday, February 4th to interview some of our regular passengers for a blog article. We look forward to hearing your stories. The ride-along will start at 7:02 a.m. from the San Bernardino Transit Center and will make the return trip at 8:36 from the Montclair Transit Center. See you then! San Bernardino, CA–People climbed aboard Omnitrans buses in record numbers during October, with over 1.5 million trips tallied. Along with surpassing the previous top ridership month mark set in October 2001, the transit agency also set a new high for a single day on October 3 with over 68,000 boardings.The month began strong, boosted by promotional efforts tied to Southern California “Rideshare Week” (October 1 -5) which happened to coincide with spiking gasoline prices in California. Boardings jumped 17.5 percent in that first week compared to 2011. In the end October 2012 finished 9.4 percent ahead of last year. Even after gasoline prices eased and the free ride promotion ended, passenger boardings have remained brisk. Omnitrans weekday ridership averaged 58,928 for the month. November seems to be keeping pace with over 65,000 passengers transported on the first day of the month. “I believe our record ridership demonstrates that people are looking for economical and environmentally friendly transportation. 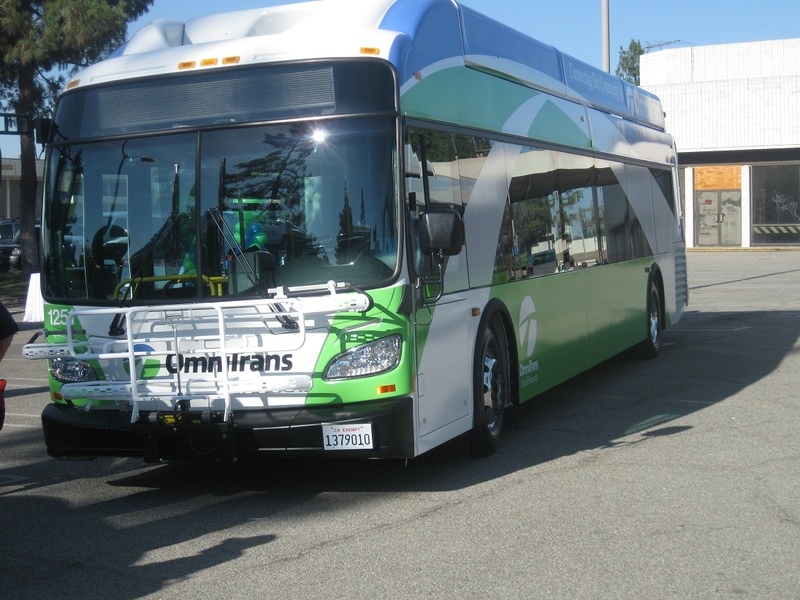 When people try Omnitrans, they find out we offer great service—on time, friendly drivers, clean buses—and then they keep riding,” said Omnitrans CEO/General Manager Milo Victoria. Route and schedule information is available online at www.omnitrans.org or by phone at 1-800-966-6428. This afternoon the first of the Omnitrans New Flyer Xcelsior buses hit the streets on its maiden voyage. Passengers on Route 14 were excited and happy to be the first ones to have the opportunity to ride. “We’re making history!” someone shouted from the back of the bus, and everyone laughed. People loved the new fleet graphics and gave the bus high marks for coolness, comfort and roominess. They can’t wait to ride again! Coach Operator Elaine Sanchez was at the helm of the New Flyer Xcelsior for the historic trip. Elaine was recently honored with the Omnitrans Employee of the Quarter award for her outstanding customer service. Omnitrans CEO Milo climbed aboard on his way to a meeting, always happy to get a chance to meet some of our passengers. This mom and her new baby were among the first passengers to board. Mr. Jones was the first bike passenger to join us on the trip. He just recently starting biking and taking Omnitrans to save the expense of gas money. Click here for more passenger photos.